Now this is what I’m talking about; a music festival that combines both my love for travel (especially to exotic beaches) and good music! Looks like I took my Caribbean cruise aboard the Carnival Valor a few months too early. I just might have to cruise once again for this one. The Bruise Cruise is a rock ’n’ roll music festival aboard the Carnival Imagination, sailing from Miami to Nassau, Bahamas and back (February 25-28, 2011). If you’ve been on a cruise, you know how fun they can be but the passengers are usually old or kind of hokey (especially if you’re form LA). There will be none of that on the Bruise Cruise! With bands like the Black Lips, The Strange Boys, Ty Segall, Jacuzzi Boys,Thee Oh Sees, Quintron and Miss Pussycat, Vivian Girls, Turbo Fruits, DJ Mr. Jonathan Toubin and more, you can expect to have an awesome crowd with many of the same interests as you: rocking out. Entertainment during the cruise will include multiple concerts at sea, an island party in the Bahamas, open-bar cocktail hours, a soul dance-off with cash prizes and a Puppetry and Pancakes breakfast show with Miss Pussycat. Amenities featured on board include: gambling, resort-style pools, water parks, spas, fine dining and more. The price of one ticket will cover all entertainment, lodging, meals, and even some drinks. Only 400 guests will be able to attend the first Bruise Cruise Festival. I just got back from a seven-day cruise in the Caribbean two weeks ago and I can’t tell you how stoked I am for the Bruise Cruise. See you there! Buy your tickets for the Bruise Cruise here. They also have “pay later” options. 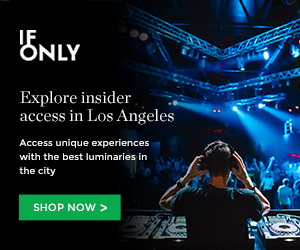 With room & board, meals and more, you’d spending less than your Coachella budget. 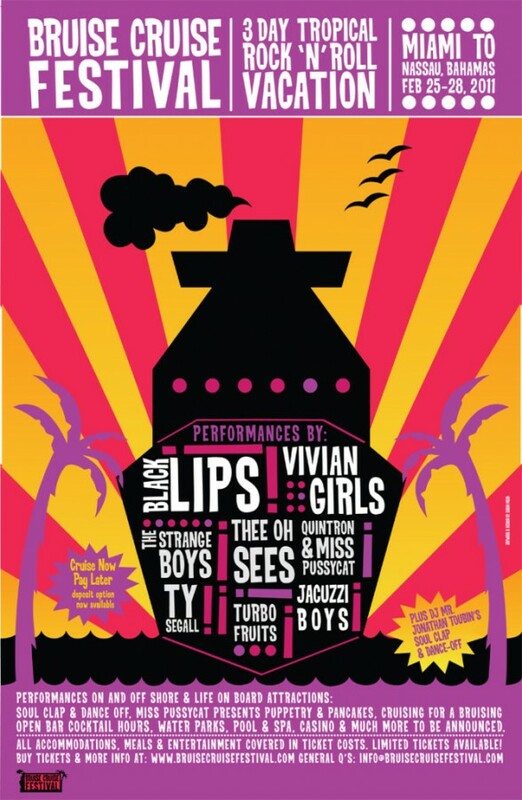 This entry was posted in Uncategorized and tagged black lips, bruise cruise, carnival, carnival imagination, Jacuzzi Boys, the strange boys, Thee Oh Sees, Ty Segall on October 5, 2010 by Sandra Burciaga Olinger.